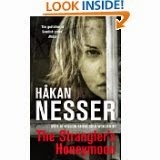 But having said this, one of my choices this year is The Strangler’s Honeymoon by Hakan Nesser and I only bought this because I like Nesser and sadly I wouldn’t have found it enticing if I hadn’t already read his novels. It’s a terrible title and the cover is no better. When Nesser was first published in the UK, I seem to remember that the covers were atmospheric landscapes which suited the mood of the novels. Now they have all been repackaged with close ups of sulky-faced women with lots of hair on the covers, whether it’s relevant to the story or not. I don’t think these are the kind of images to appeal to the readers like me who enjoy intelligent crime fiction. It reminds me of when my friend Sue Hepworth's comedy of middle-aged love was packaged as chick lit. She was furious and I don’t blame her. Don’t publishers realize that some readers will feel cheated if the cover doesn’t match the contents of the book and that others will be put off buying a book they might actually enjoy? Interestingly both the US and the Germany editions have better covers. There's a free podcast of the first story I ever had published on http://crimecitycentral.com. It's 'The Lammergeier Vulture' very ably read by Jonathan Danz. Do visit the web-site, run by Jack Calverley. There are lots of other stories there by well-known crime-writers. Will the collaboration continue? ‘Happily, the second novel is completed and is due out in July,’ Margaret says. ‘Fennimore and Simms go Stateside, on the trail of a serial killer. That was fun to research. In May 2012, we spent three weeks in Tulsa and St Louis, talking to experts covering a range of aspects of the US Criminal Justice System. Highlights included being guided around the Homicide Department in Tulsa, and talking to detectives, Cold Case Investigators, and CSIs. They’d had 19 homicides between January and May – and said it had been unusually quiet. 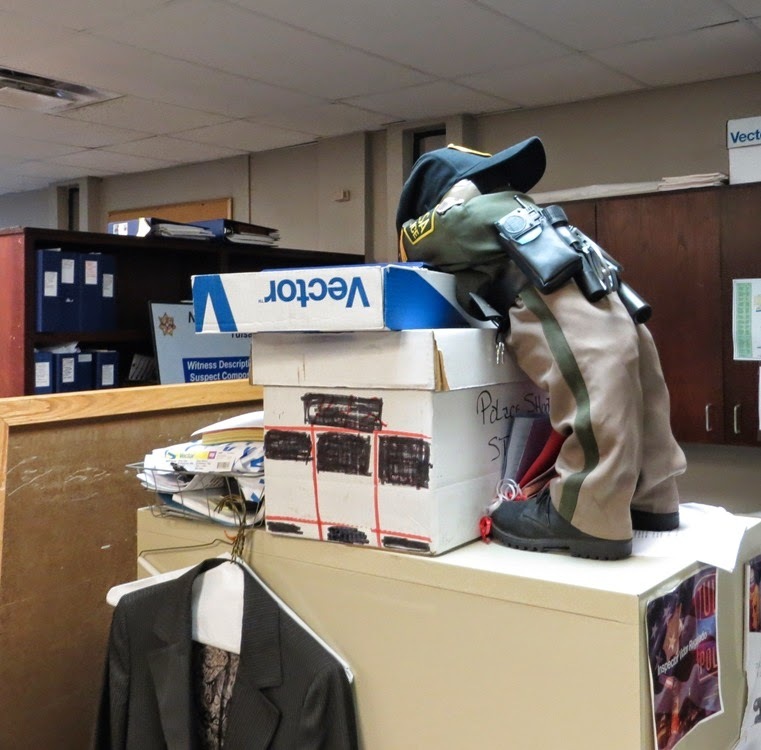 We also talked to District Attorneys, a forensic anthropologist, and a judge in Oklahoma. Our guide and facilitator, Mike Nance, was formerly a homicide detective, and is now a Team Adam consultant. Mike is also a co-founder of the International Association of Cold Case Investigators. Please check out their Facebook page and like it – these guys do important work. In St Louis, we met with just-retired head of the Major Case Squad, Bill Baker, and the Godfather of Homicide, Joe Burgoon, and listened to a fund of stories that impressed on me both the humour and compassion of the men and women who stand between ordinary people and those who would do us harm. It’s impossible in a short blog to do justice to everyone who helped and guided us, but I will be blogging the research trip, day by day, on the A.D. Garrett website from 30th April to 17th May, so I hope you’ll drop by. The full title is Her Brilliant Career: Ten Extraordinary Women of the Fifties and it's by Rachel Cooke. It's had some very good reviews and I must admit that it is a terrific read and that I gobbled it up. But - you knew there was going to be a 'but', didn't you? - I do have some reservations and some of these are, I suspect, to do with editorial decisions. I was a few pages in when I turned to the index, wanting to check something, only to find that there wasn't one. I don't like it when a densely textured work of non-fiction like this doesn't have an index. And I don't like it when there are no proper footnotes, either. There are a lot of quotations. Sometimes they are attributed, sometimes not. I think this matters. I really want to know who said or wrote what and when. I can imagine the discussion leading to this decision: 'oh, we won't have footnotes . . . too stuffy . . . holds up the narrative . . . ' But it is important especially when, as here, the private lives of real people are presented in a somewhat unfavourable light. For these women were for the most part undeniably brilliant - a film director, a journalist, a cookery writer, an architect, a barrister and others - but some of them really weren't very nice. Admittedly this was a tough time to be a working mother and these women were bucking the trend. Some careers simply weren't open to married women: a friend of my mother's who worked in a bank had to stop work when she married. For those who could stay on it was very difficult to combine the two roles, much more so than today (though it's a problem that never goes away entirely). Sadly the children in this book tended not to come out of things very well. The story of Nancy Spain is particularly disquieting. A lesbian when lesbianism wasn't illegal only because it was totally unacknowledged, she had a baby that she passed off as belonging to her female lover. She was killed, along with the lover, in a plane crash, leaving no provision, financial or otherwise, for this little boy. Something was cobbled together and he was taken in by the headteacher at the school where he was boarding. He didn't even know who his real mother was until he was nineteen. Later on he deduced that his father was Youngman Carter who was married to the crime-writer, Margery Allingham. I say 'deduced' because the evidence seems to be less than compelling, even though it is presented as fact. No wonder he was dogged by mental illness all his life. Rachel Cooke doesn't reach any particular conclusion and I didn't feel that the whole was more than the sum of the parts - but how very entertaining those parts are.